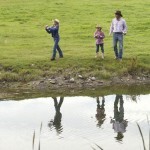 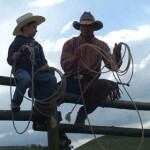 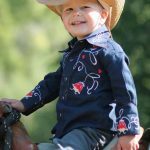 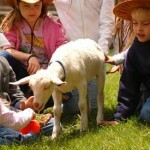 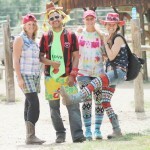 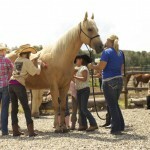 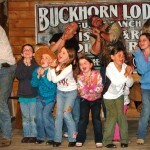 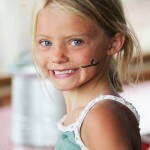 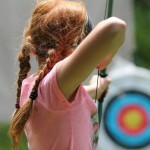 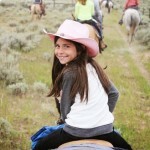 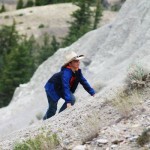 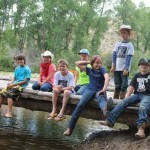 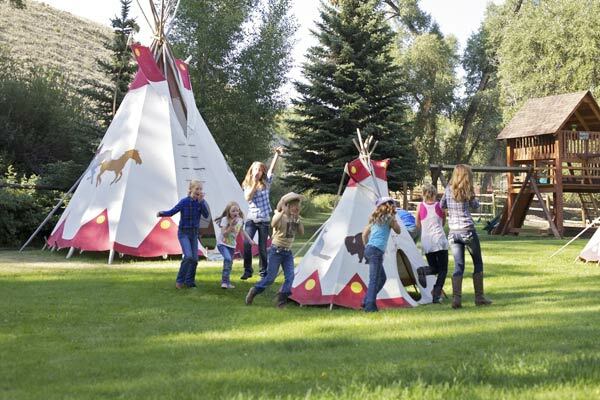 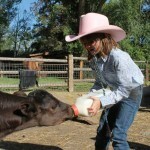 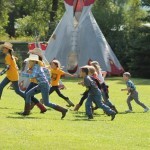 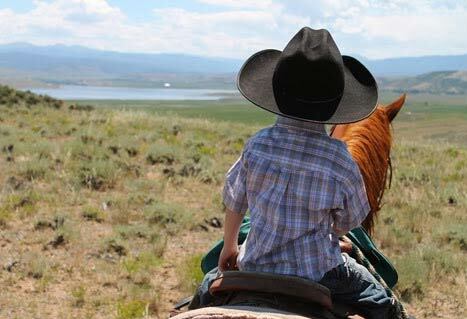 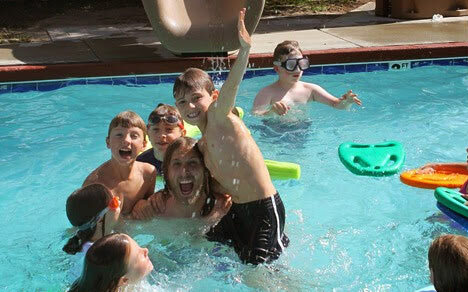 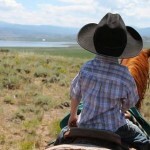 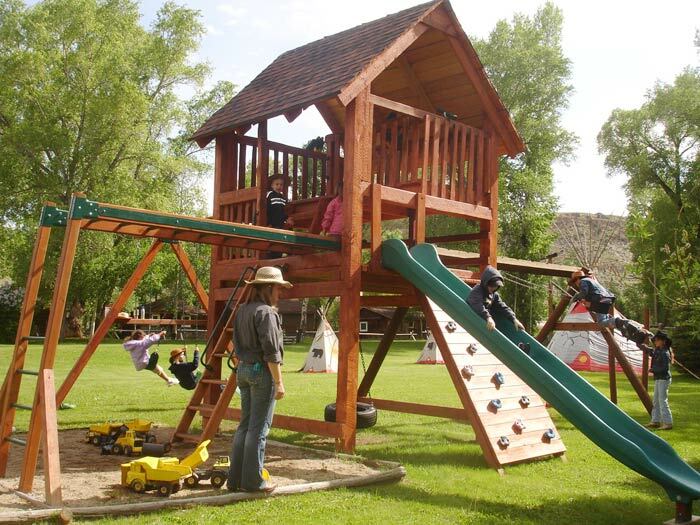 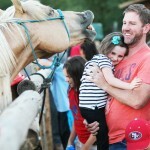 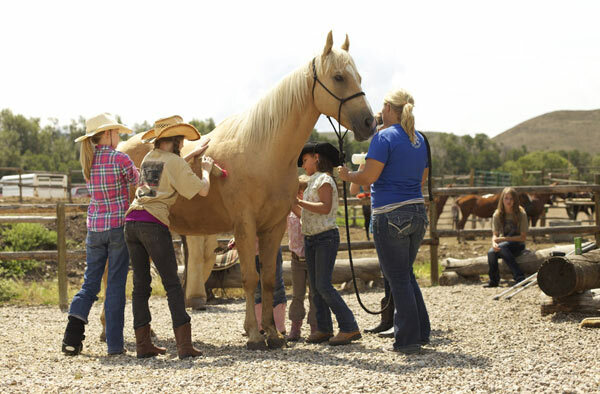 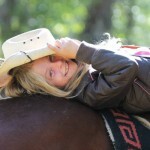 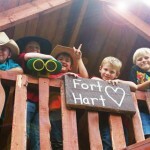 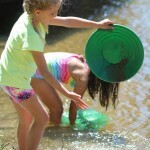 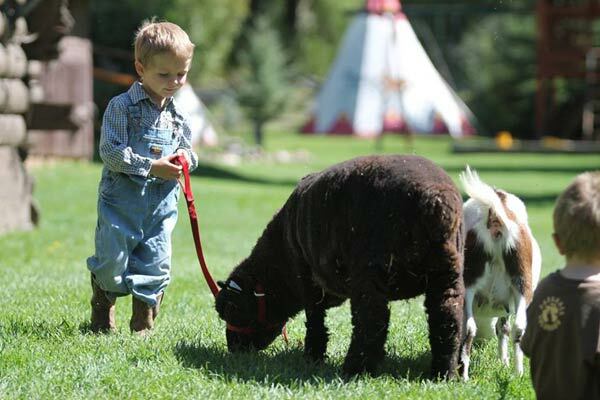 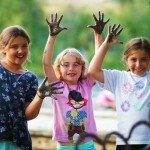 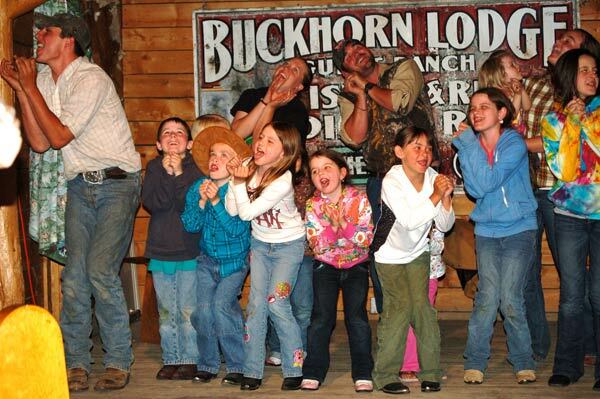 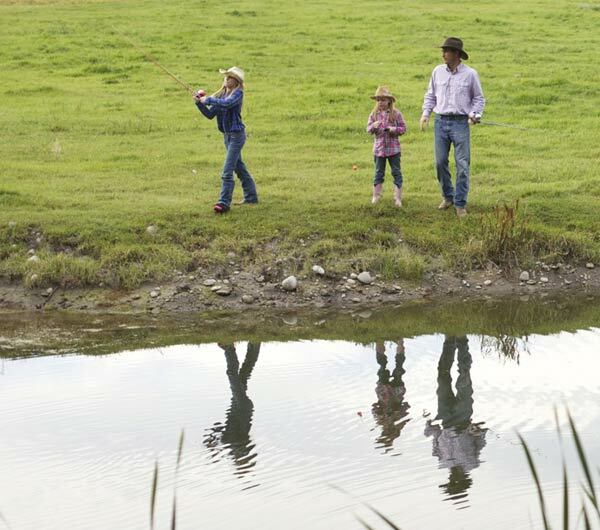 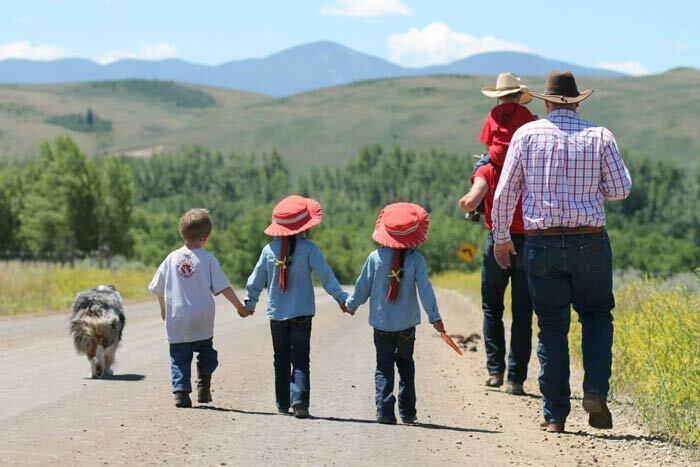 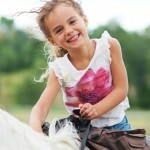 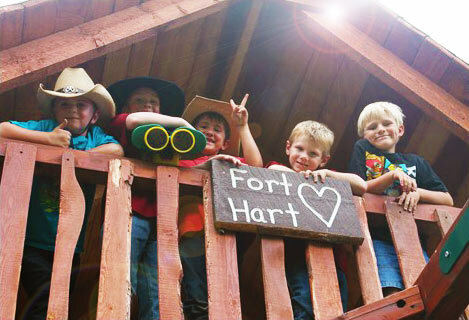 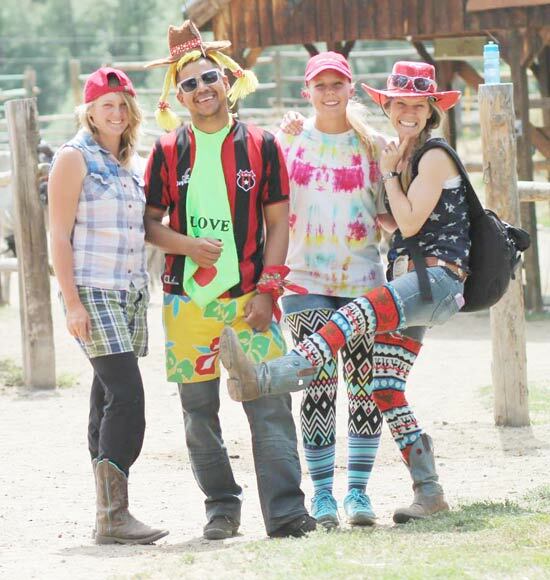 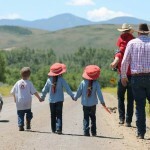 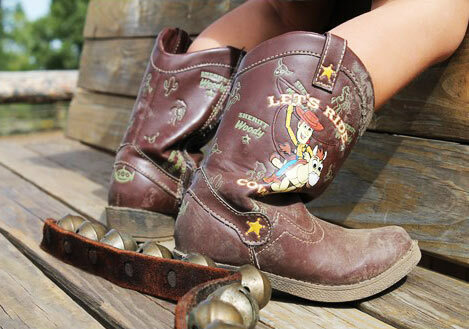 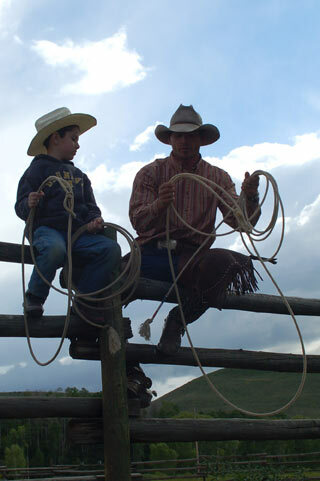 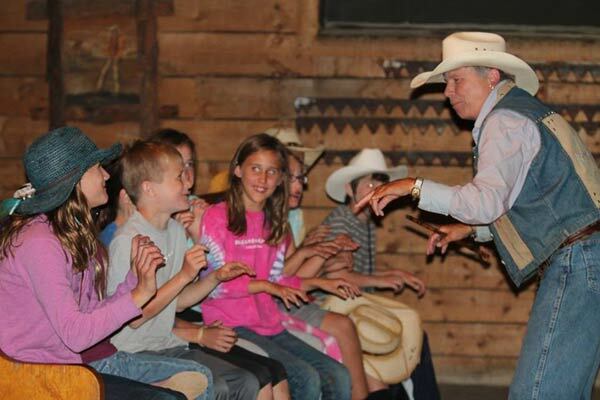 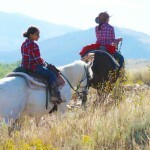 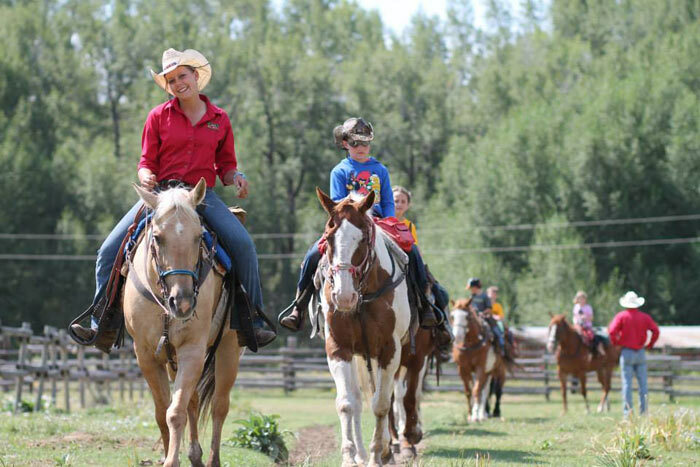 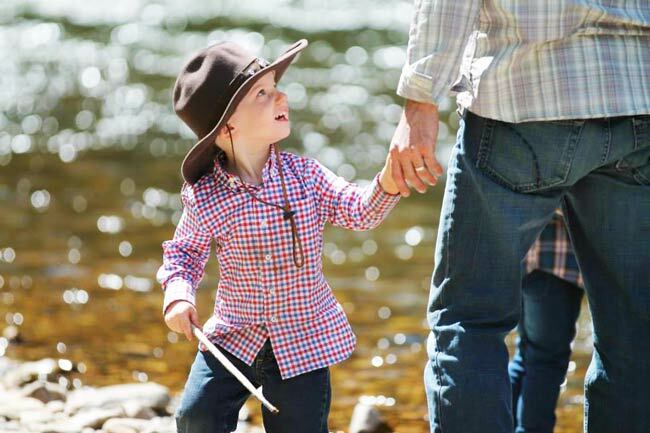 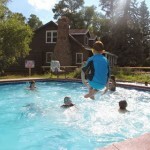 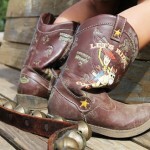 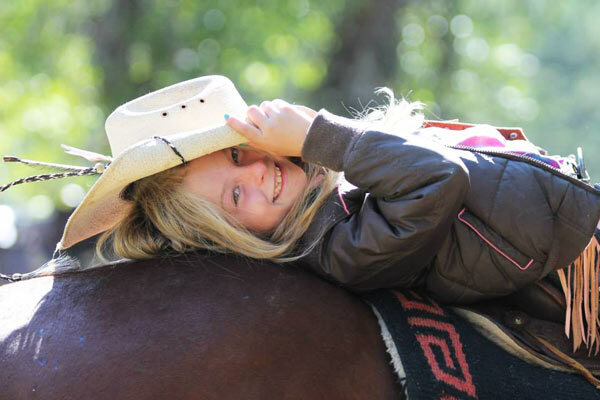 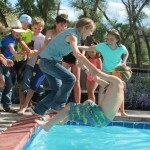 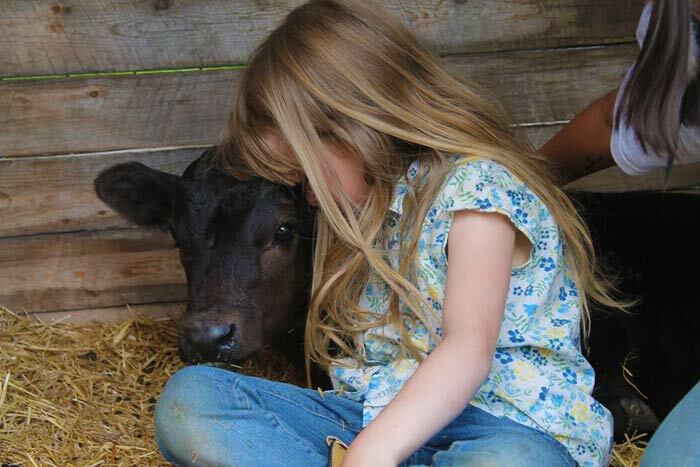 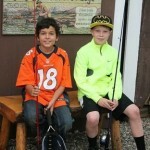 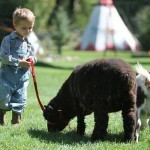 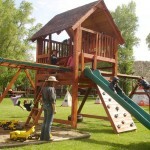 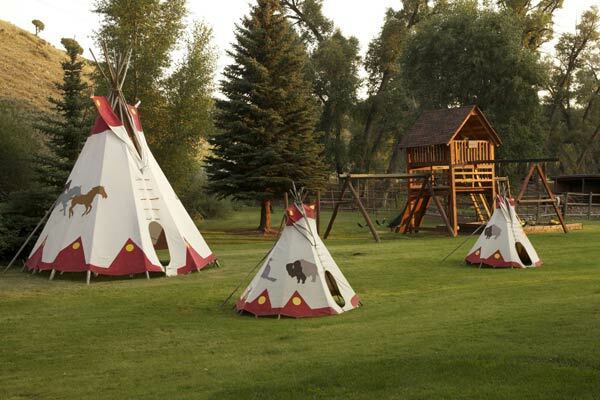 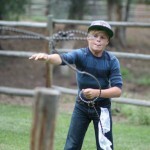 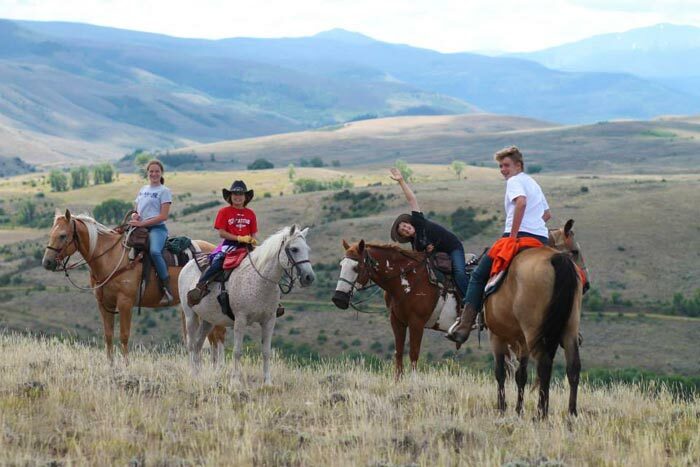 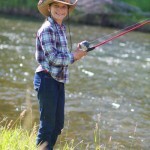 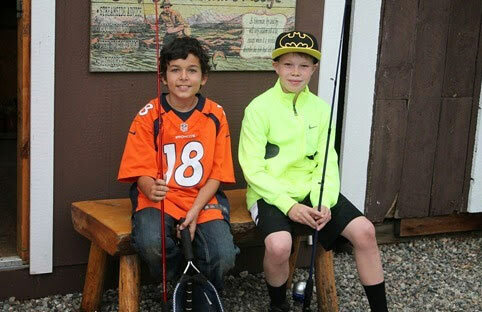 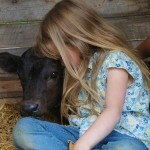 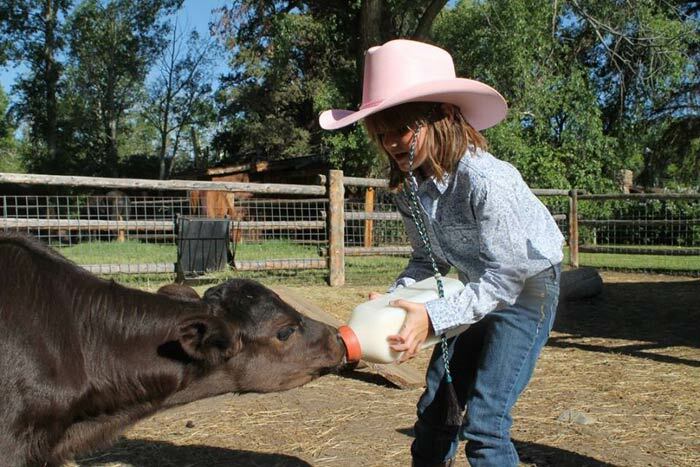 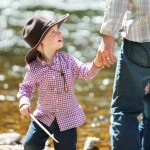 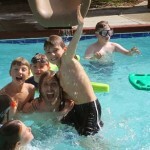 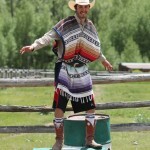 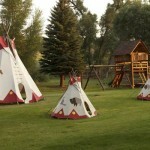 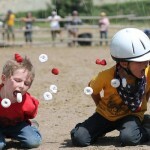 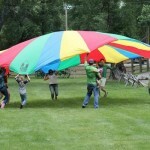 The kids will be safe, busy and entertained on their Dude Ranch Family Vacation! 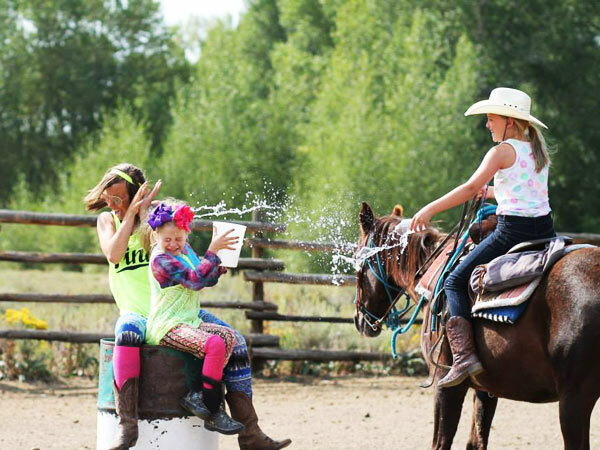 The Bar Lazy J Kid's Program is another highlight of your week on your family's vacation at our dude ranch, and boasts nonstop fun and activities for ages 3-12. 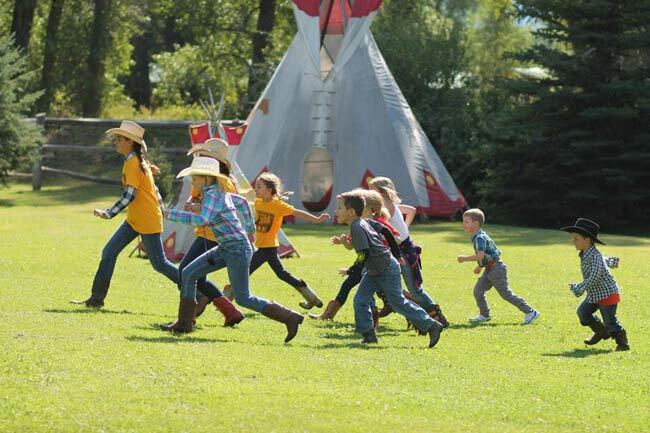 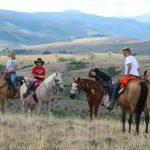 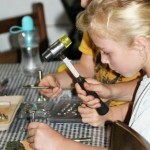 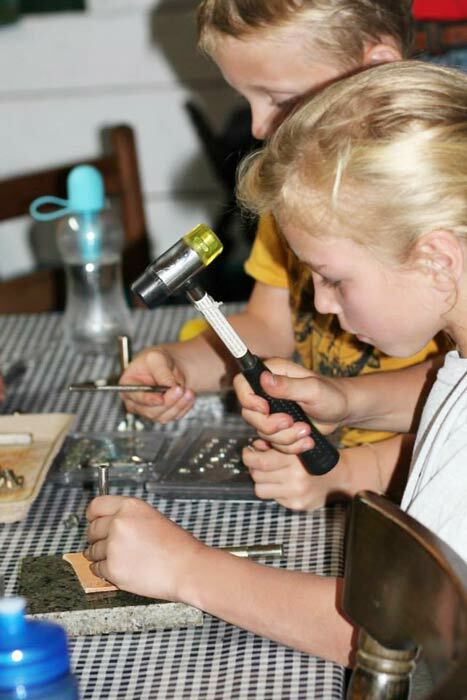 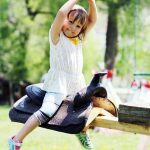 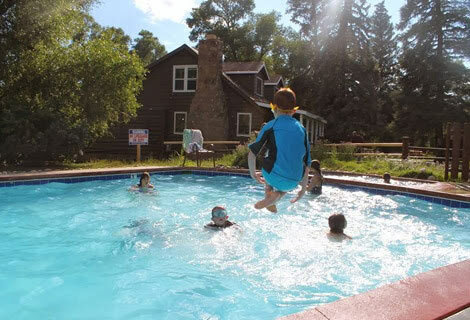 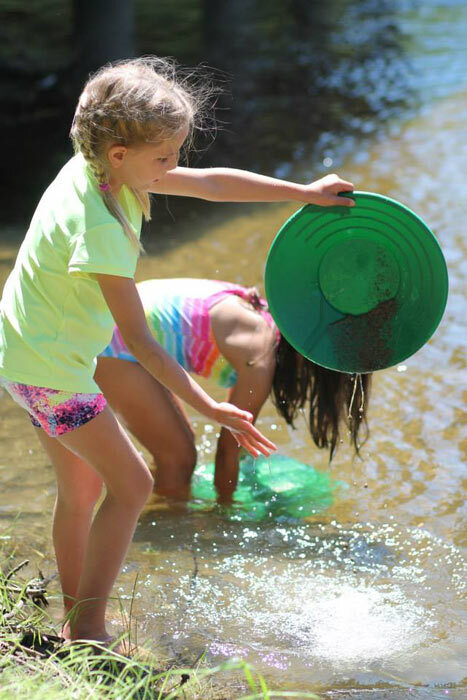 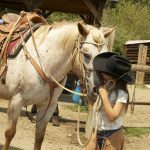 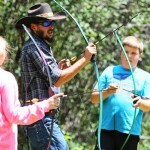 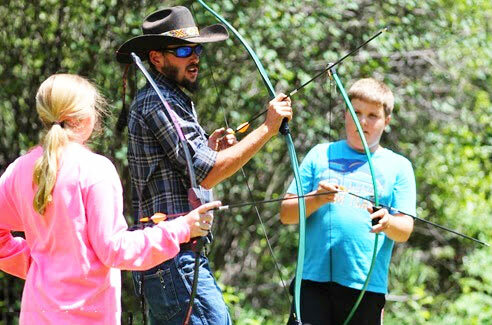 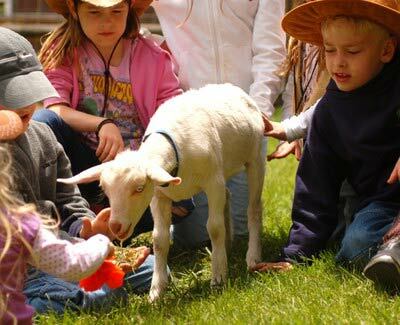 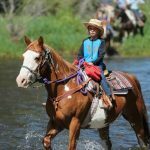 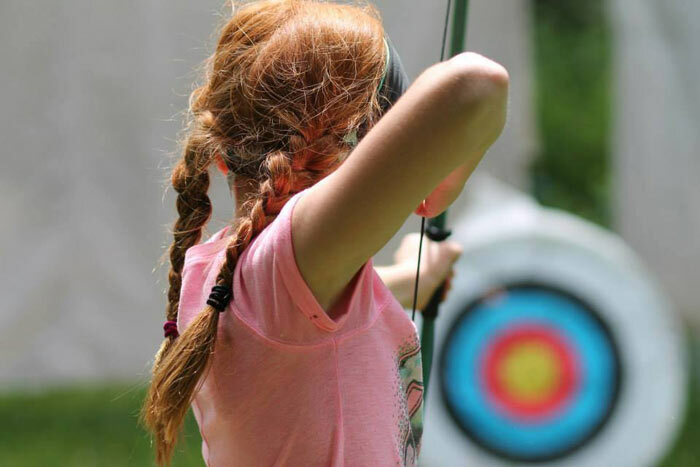 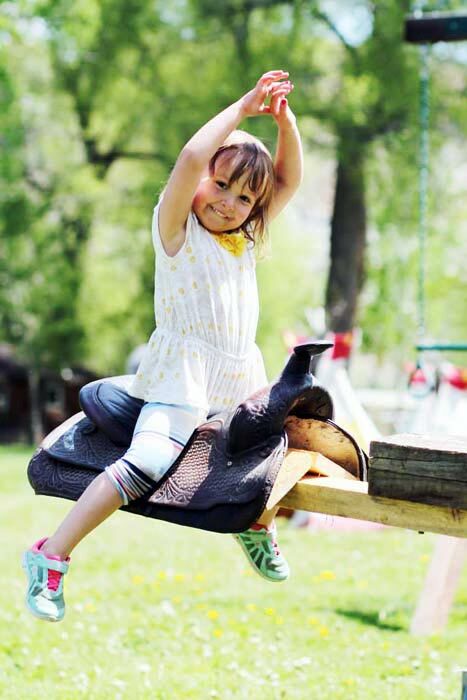 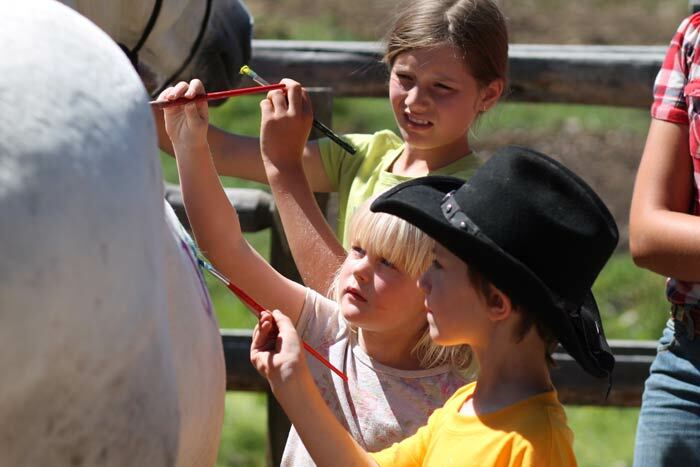 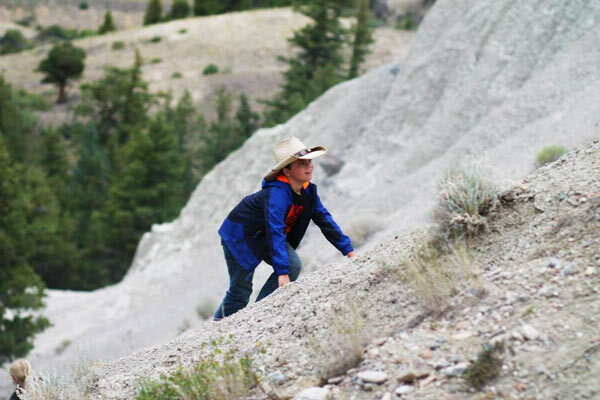 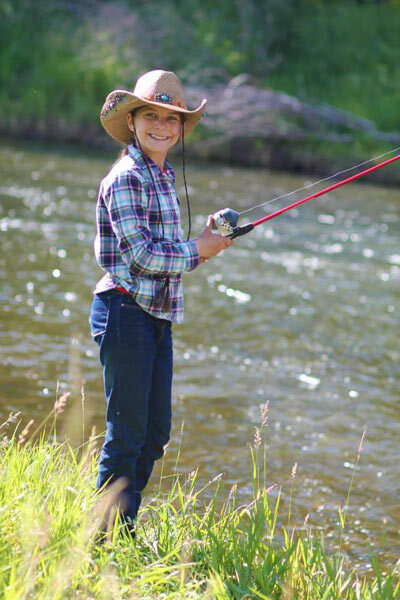 While days are structured with a wide variety of crafts, games and adventures, the program is flexible and designed to meet the needs of children in various age groups so that they are kept safe, busy, and entertained on their Dude Ranch Family Vacation! 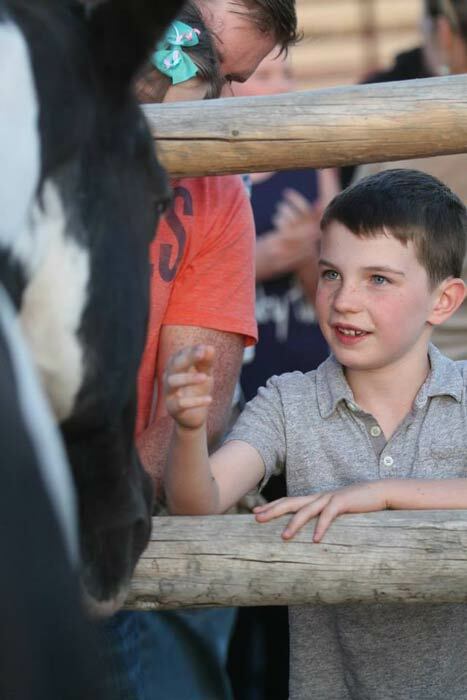 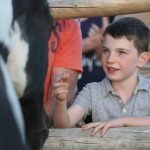 Each day begins with feeding the animals in the petting farm and most days end with zipping down the pool waterslide, but there’s too much in between to even mention! 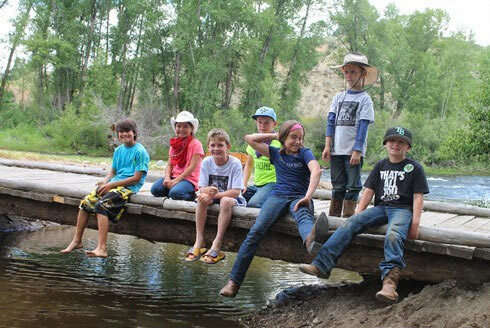 The Ranch Fun Kid's Program is available every day and our counselors are readily available to spend lunch with any children whose parents have activities planned that might prevent them from being there. 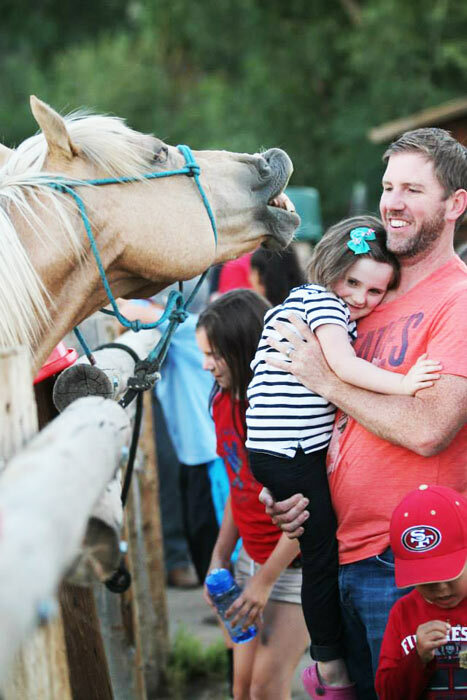 Ages 3–6 are given some extra special attention during their week! 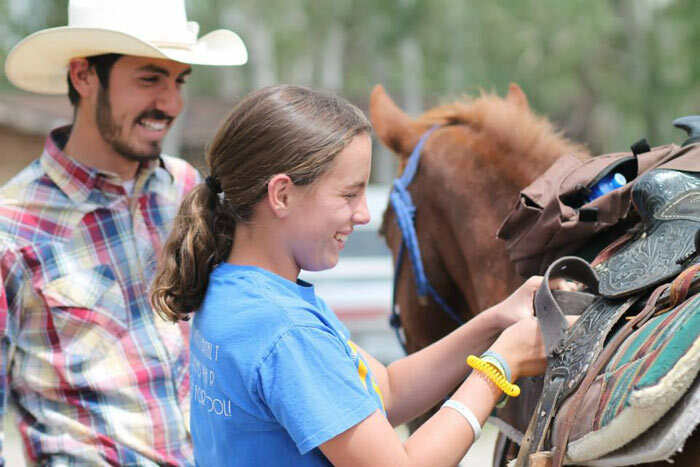 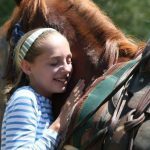 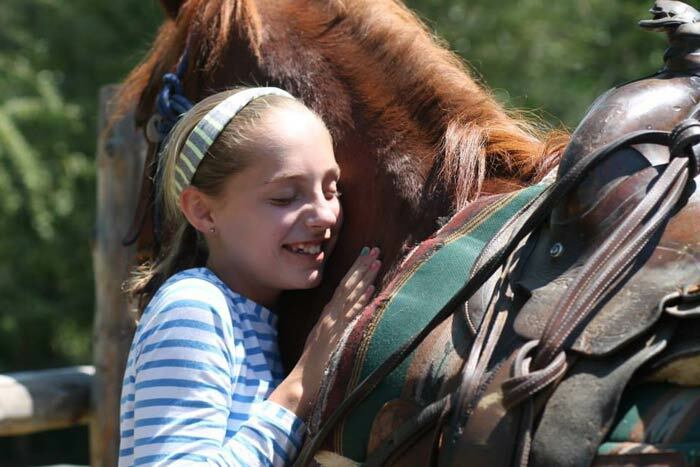 They too take part in all of the horsemanship clinics, games, crafts and activities along with the Range Riders, with counselors available to them at all times. 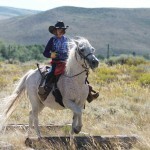 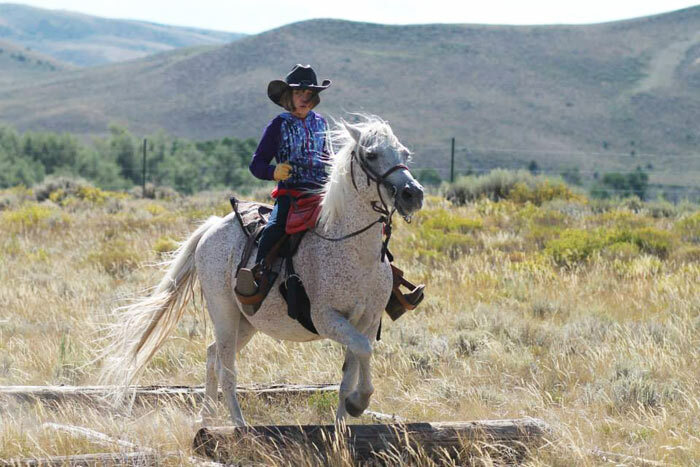 When the Range Riders mount up to hit the trail, the Buckaroos are mounting up as well. 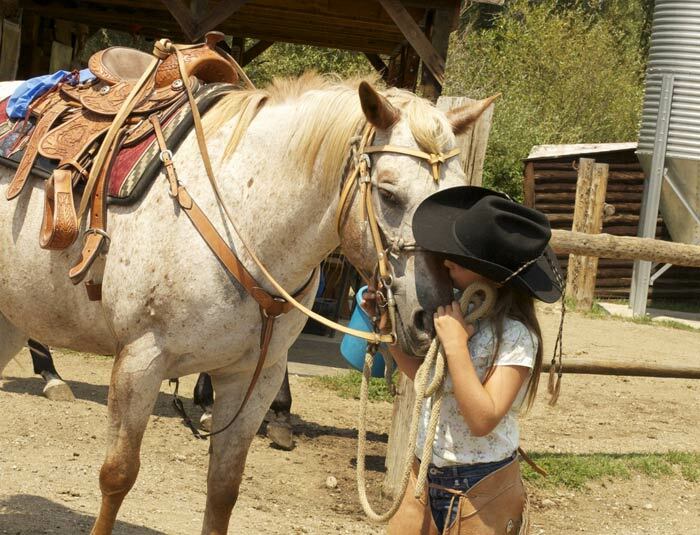 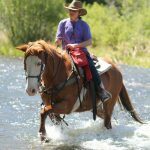 Our experienced counselors will assess each child’s confidence and ability and give them individual ride time around the ranch property. 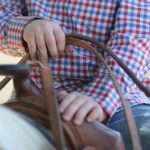 They’ll learn to sit a trot when they’re ready and even take the reins if they feel inclined--all with a counselor by their side. 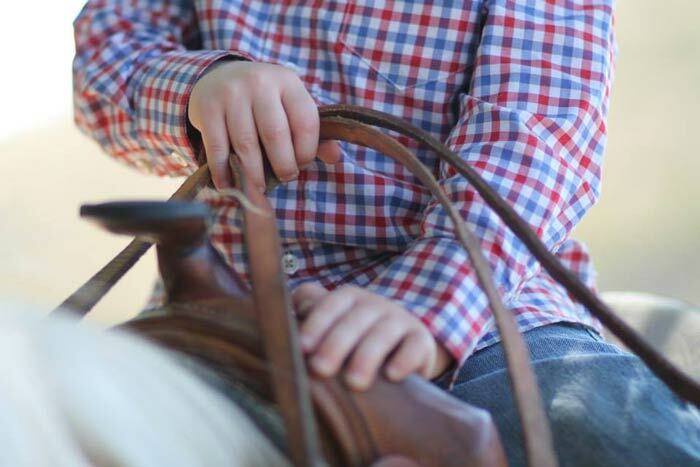 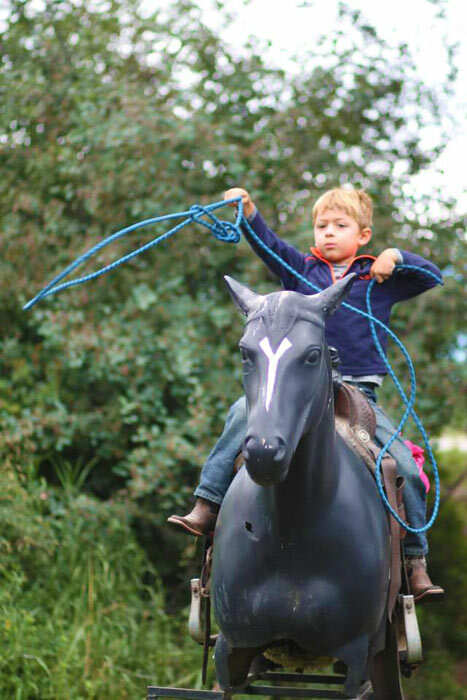 We aim to help every rider reach the next level they are ready for—and it starts with our Lil’ Buckaroos. 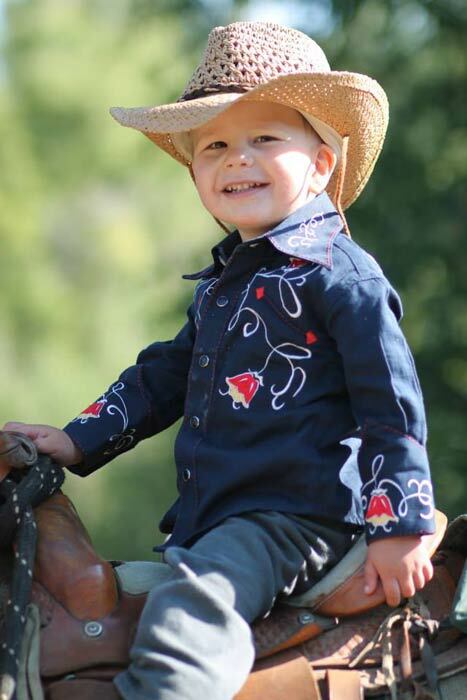 A Family Ride and photo op with your little cowboy or cowgirl is always a possibility—just let us know! 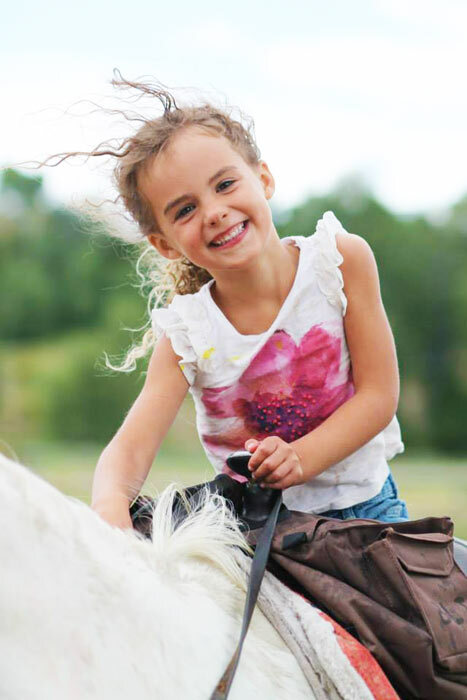 ** Babysitting is provided at a reasonable hourly rate for children under 3 not in the program. 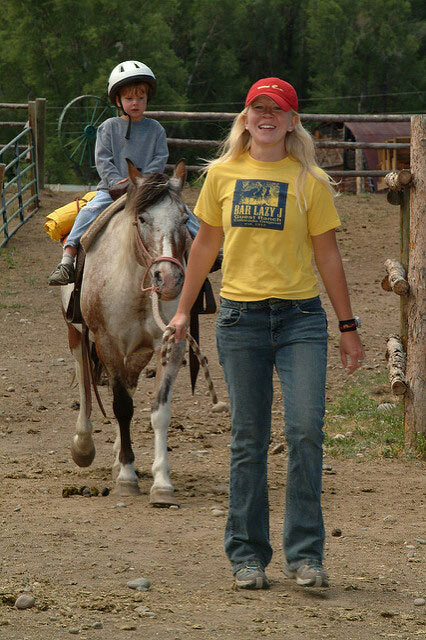 Just let us know in advance and we’re happy to arrange an on-ranch sitter at any time for you. 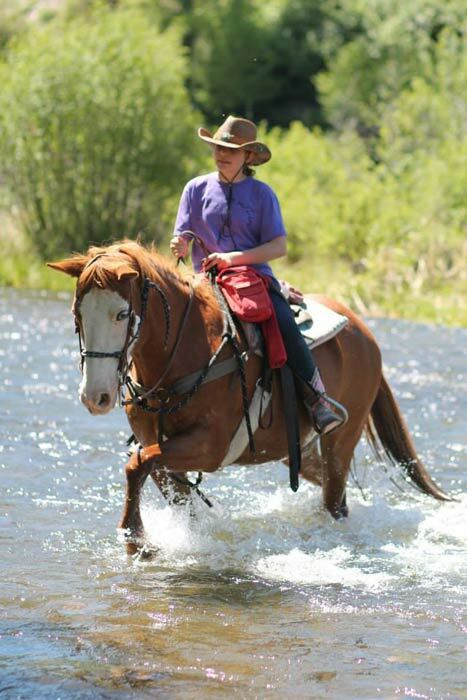 They’ll experience a growing confidence as they take command of the reins and learn how to handle their horse with the direction of our fun wranglers. 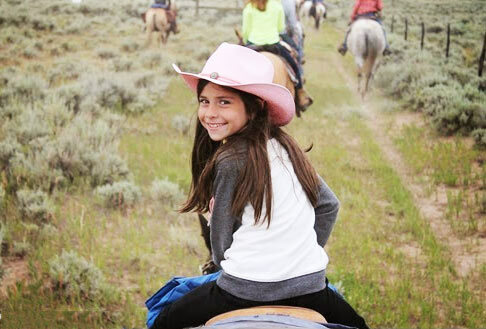 In addition to our daily rides, our Range Riders will enjoy the only-of-its-kind “Root Beer Float Ride” to town and a full day of adventure out to the Sand Dunes to enjoy a packed lunch and slide down the dunes on their Kids All Day Ride. 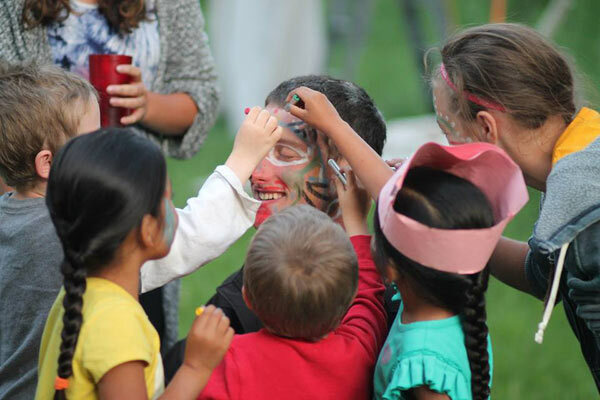 Parents and teens are always welcome to come be kids with us! 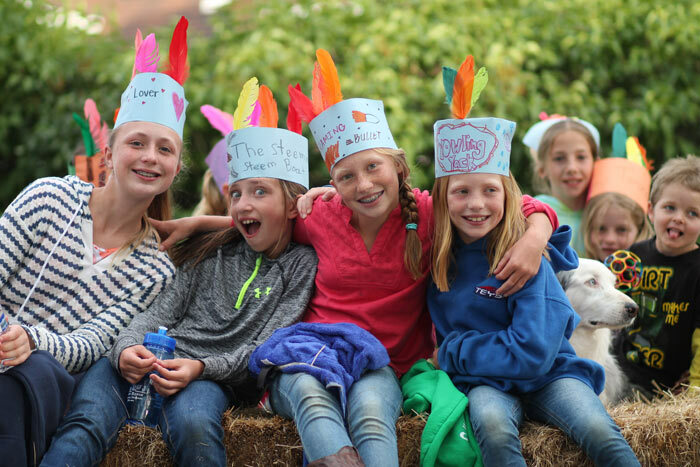 Thursday 7 p.m. Pow Wow! 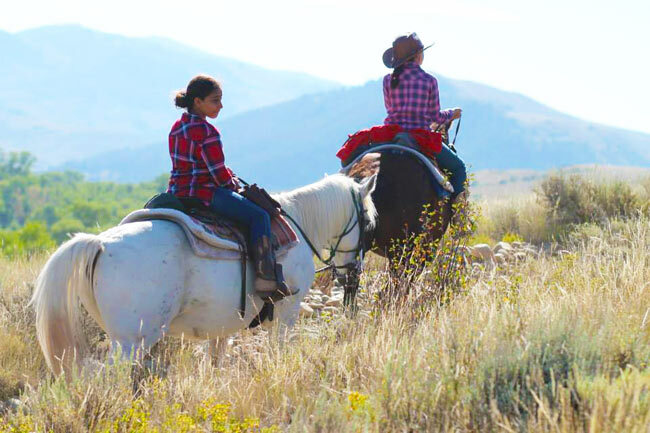 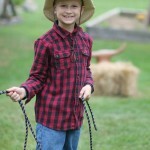 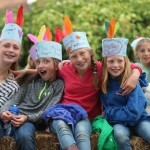 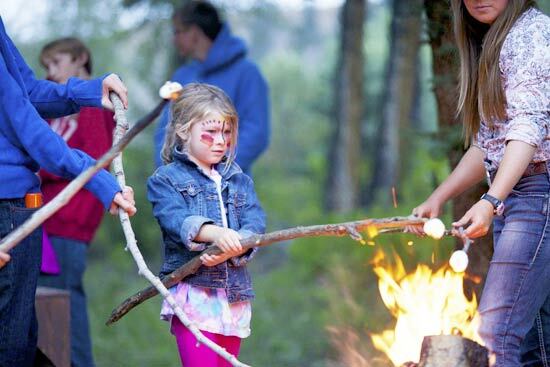 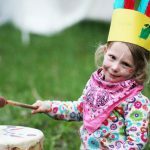 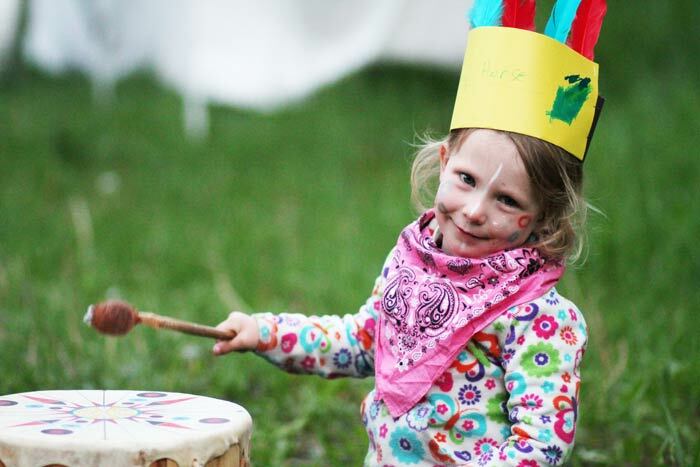 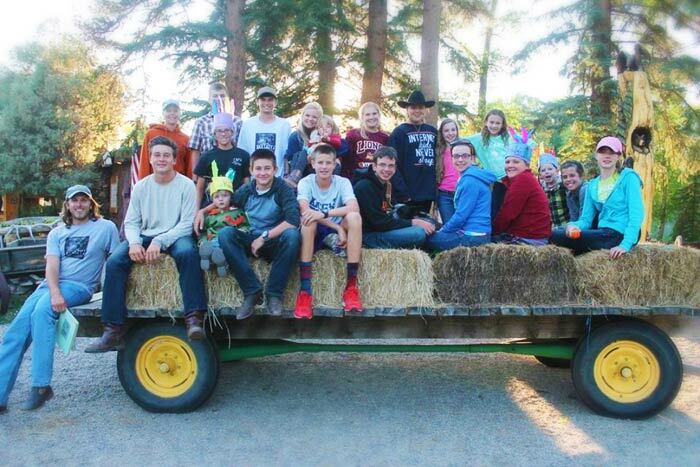 – Buckaroo & Range Riders will hop on the hay wagon to head out to their own special evening of songs, an antler hunt, face paint, games and roasting s’mores over the campfire. 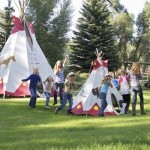 Who will be crowned the Big Chief?? 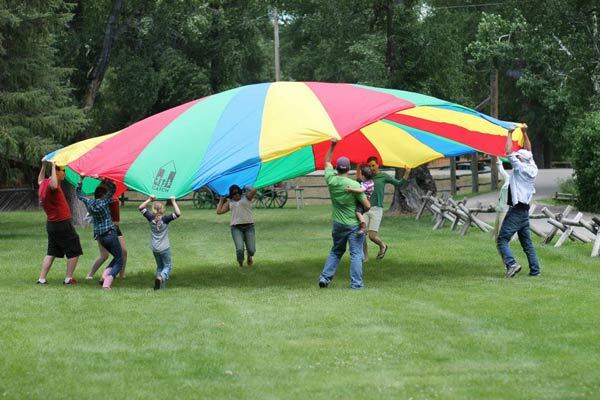 Teens welcome! 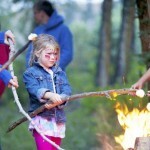 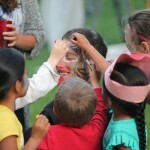 Afterwards, the kids rejoin their families at the Adult Campfire for special songs by our campfire entertainer. 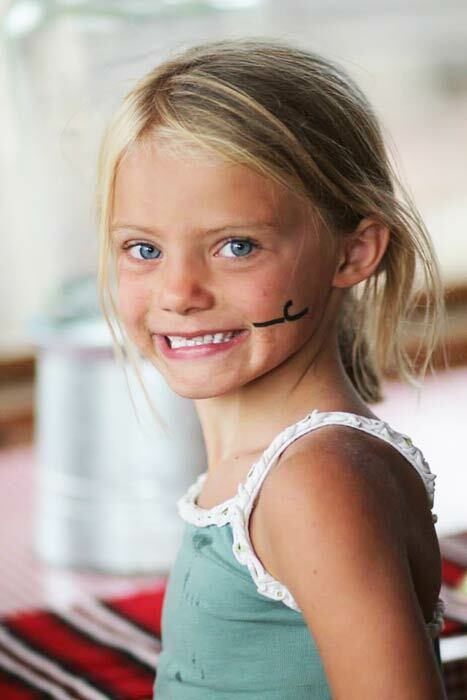 Friday 6 p.m. Pizza Party! 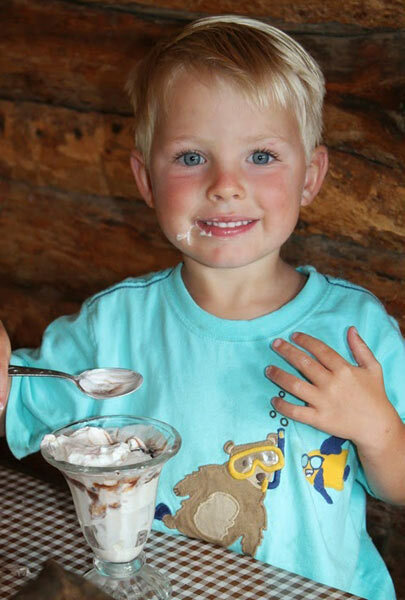 – When the dinner bell rings, parents can head to their Adult Dinner and kids meet us on the River Porch for our own delicious homemade pizza and ice cream party—a specialty of Chef Eddie’s. 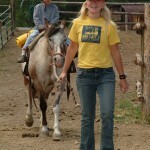 You can bet the staff will be in line right behind you! 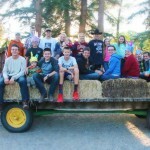 Teens once again welcome! 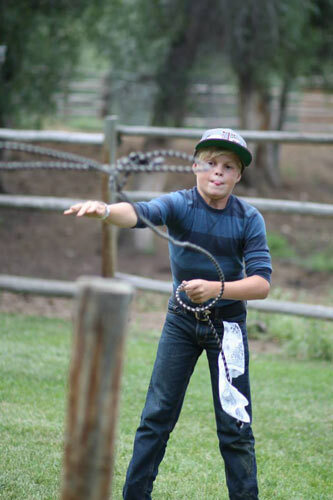 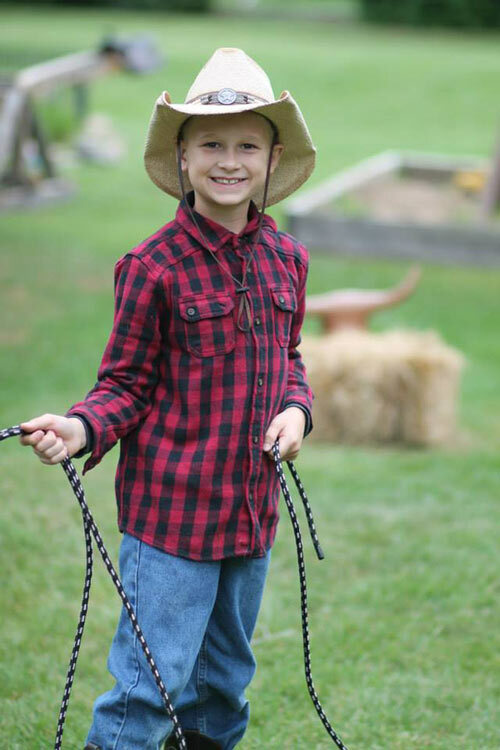 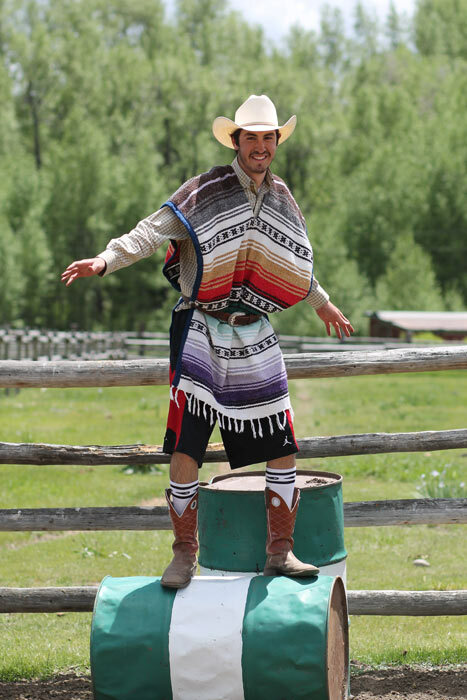 Saturday 2:30 p.m. Wild West Showdown – Saturday afternoon, all kids will have the opportunity to show off their skills from the week in our family-centered Wild West Showdown. 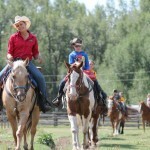 Kids, parents and grandparents are invited to team up for some friendly competition in these hilarious horseback relays. 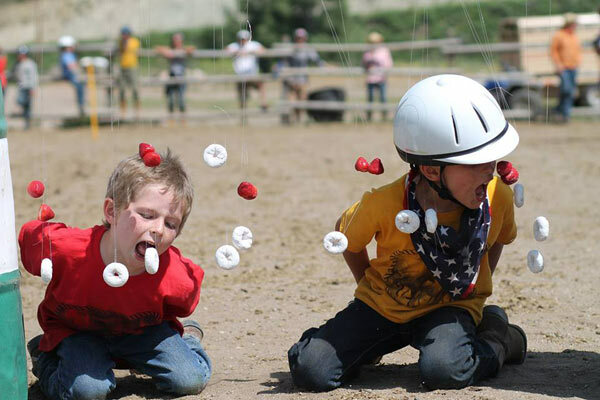 If you don’t want to participate, just come and watch! 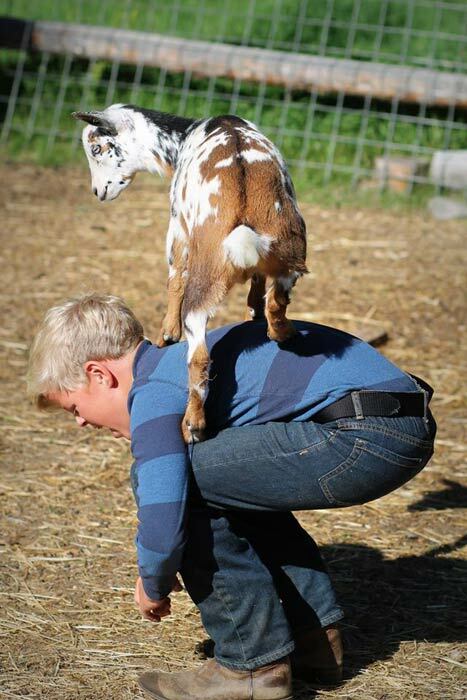 These are photos you won’t want to miss! 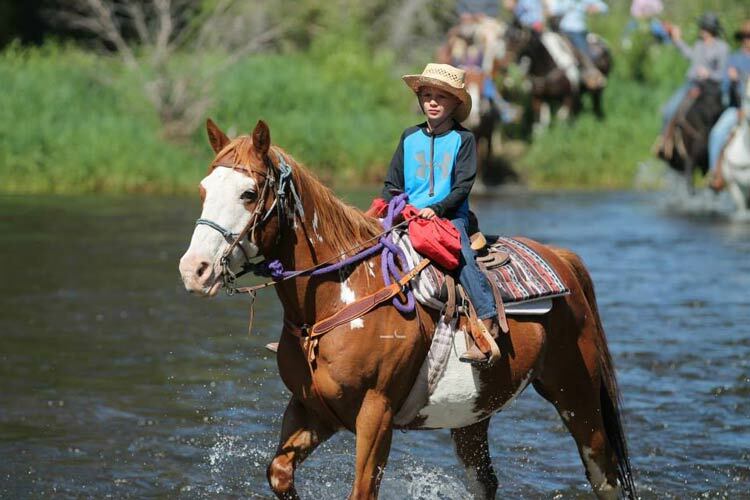 Saturday 4:30 p.m. Ice Cream Social and Awards – After the Wild West Showdown, we’ll cool off with some delights on the River Porch and the presentation of the week’s horsemanship awards. 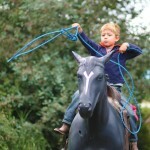 Don’t be alarmed if we then do a little “ranch branding” Bar Lazy J style. 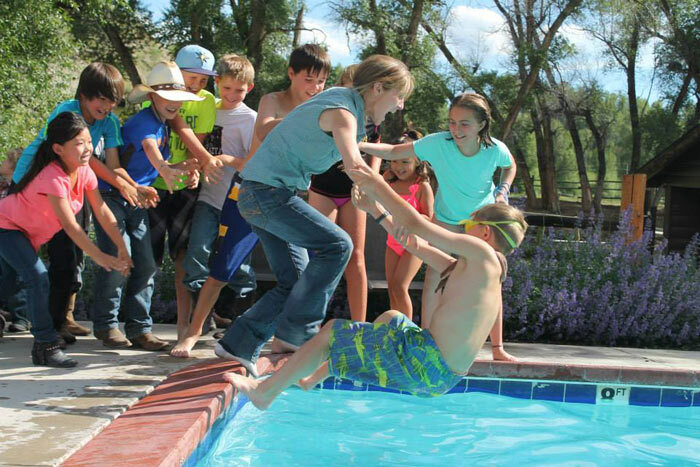 We’ll wrap up the week with tearful hugs and if some certain criteria have been met for the week, there are some counselors who may be getting pushed in the POOL—bring your cameras! 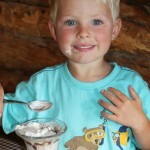 Kids Program VideoA short video showcasing the Kids Program at Bar Lazy J. 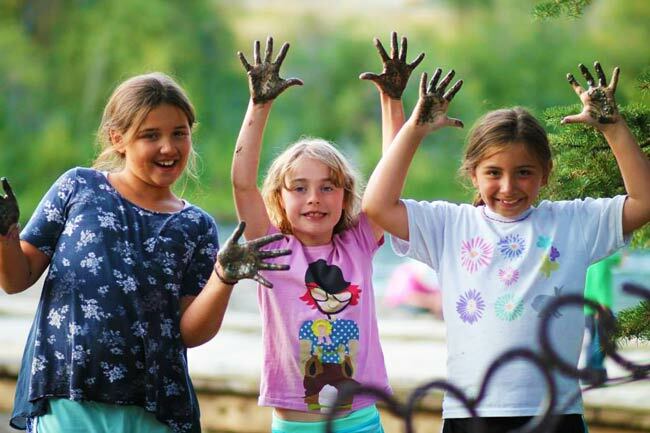 If you have ANY questions about our Kid’s Program or would like a copy of our daily schedule, please give us a call and we’re happy to assist you with any additional information you might like. 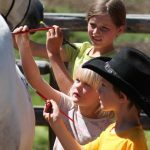 Remember, you are always welcome to participate in any Ranch Fun Kid's Program and we’d love to have ya!